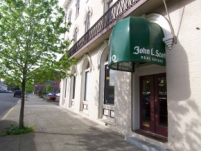 About Us | John L. Scott Walla Walla | Your Community, Your Realtors. We don’t just help people buy and sell homes. What sets John L. Scott apart is our belief in Living Life as a Contribution™. Our broker associates live here in our community and they are dedicated to helping it thrive. They keep up to date on market trends and forecasts in their neighborhoods, which makes them the hyperlocal experts you need whether you are buying or selling a home. As part of our commitment to serve the communities of the Northwest, we’ve established the John L. Scott Foundation. Funded by the contributions of associates and employees, the John L. Scott Foundation is dedicated to ensuring that children in our communities receive quality medical care, regardless of their family’s ability to pay. As a company, our core value is “Living Life as a Contribution™”. Through our sponsored events, the John L. Scott Foundation raises millions of dollars for more than 15 different children’s hospitals in the Northwest. Together, we are working to make tough times a little easier for families in need.